Forget chopping, dicing and draining – our mouth-watering tuna salad is ready to enjoy in this convenient on-the-go meal kit. 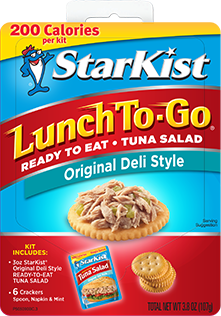 Inside, you’ll find premixed tuna salad and all the makings for a delicious meal that's ready when you are. Premixed for the perfect blend of great taste and convenience on the go!